As part of MG Awareness month we are sharing personal stories written by individuals impacted by MG. Today’s post is written by WWMG member, Kerri Sweeris. If you saw me out and about somewhere, you would see a fairly normal looking, dark-haired, overweight, kind of pretty girl with nice hair and makeup on. I would be wearing nice jewelry (most of which I made!!) and the only thing you might notice that doesn’t look quite normal is that I have a trach. I have a silicon tube in my neck through which I breathe. You see, because I have this disease called Myasthenia Gravis (MG). And I went 8 years without a proper diagnosis. And that is why I have the trach. What you don’t know is that it took me all day to get that makeup on, to do my hair, put my jewelry on, and so on. Getting ready to go anywhere is at LEAST a 2 hour process. I have to rest in between. I can’t do certain things to my hair that I used to because I can’t hold my arms up. In July of 1996, I started having double vision. I went to an eye muscle specialist at a very well-known ophthalmologist business. She told me it was stress (I was a dispatcher at a trucking company, so I DID have a very stressful job), and that I had something called “Convergence Insufficiency” (CI), and my eyes were not working together. For proper, normal, single vision, our eyes must converge (or turn inward) slightly and at the same degree. If this doesn’t happen, we can get double vision. Just now I’ve done some research on CI, and have discovered it is common in children with ADHD (I was 25, and don’t have ADHD), and veterans who had experienced close-by blasts (again, not me) and people with traumatic brain injury (nope). CI also causes difficulty in reading: reading slowly, difficulty remembering what was read, reading the same line over and over, and so on. I had no trouble reading. My double vision happened 90% of the time when I was trying to look far away. So for this woman to conclude, based on a cursory exam, that I had CI, was irresponsible at best. This doctor SHOULD have known that I was having the classic first symptom of Myasthenia Gravis, and that for a female, I was at the most currently diagnosed age as well. So she was either stupid, which I don’t think was entirely the case, or terribly uneducated by her professors and peers about MG. I suspect the latter is true. During this code, I was emergently intubated. My vocal cords were most probably nicked by either the metal placement instrument, or the ET tube itself. The neurologist at the hospital that was consulting on my case told me I wasn’t leaving the hospital until they figured out what was wrong with me. Four days later, on October 17, 2000 I was helicoptered to the U of M, intubated and vented for over 2 weeks. I developed MRSA pneumonia, and was trached to get me off the vent to try to get rid of the pneumonia. When I got home I went to an ENT within my insurance, and he didn’t see why the trach couldn’t come out (without doing ANY tests). He took it out and I stopped breathing again, only this time I was not sedated so I remember mouthing “help me” to my husband. The doctor shoved a trach in get me breathing again. What he did not realize is that my vocal cords were scarred shut. Vocal cords are in the shape of a “V”. When you breathe in, they open. When you talk, eat, or swallow, they close to protect your airway. Since mine were scarred in the closed position, I could not breathe above the vocal cords, and my trach is my only airway. The doc kind of freaked out. Later I found out he primarily does plastic surgery. Needless to say I investigate my doctors a lot more carefully now. So back to the eye doctor; if she had been better educated, or if she was educated, but just didn’t think it through, I may have a totally different life. I don’t dwell on it, because I believe that God can turn anything meant for evil to my benefit and His glory. I’m a lot different than I was before MG, and I like this “me” a lot better. 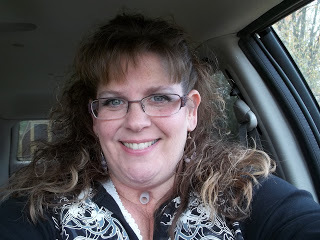 WWMG Member, blogger, and owner/artist at Kerri’s Kreations. sorry to hear about what you went through. I spent over a year undiagnosed—-even after walking into my doctor’s office with my right eye shut tight and unable to open it. he wasn’t educated enough on mg or didn’t care enough to figure it all out. oh well—-life is a gift, even if it does come with a sprinkling of mg. best of luck to you and thanks for sharing your story!